Kolhapur's Dhruv Mohite extended his championship lead with the first win of the weekend in Chennai. Round 3 has two more races lined up for Sunday. 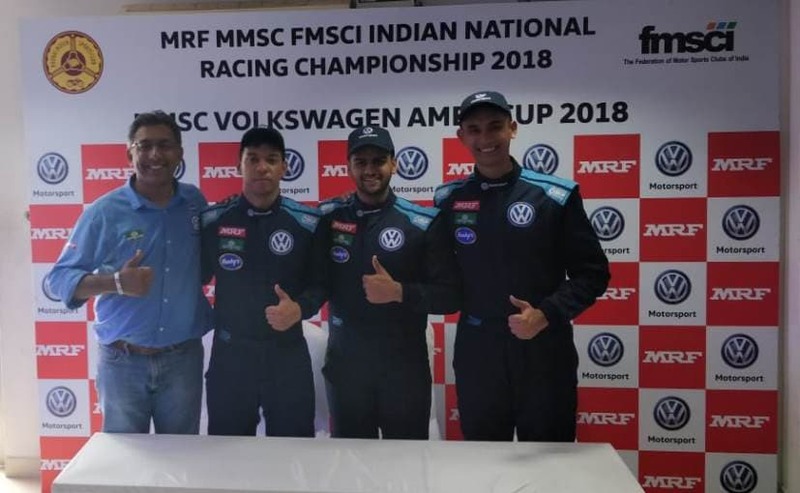 Leading the points table, Dhruv Mohite took his first win of the weekend in Round 3 of the 2018 Volkswagen Ameo Cup at the Madras Motor Race Track (MMRT) in Chennai. 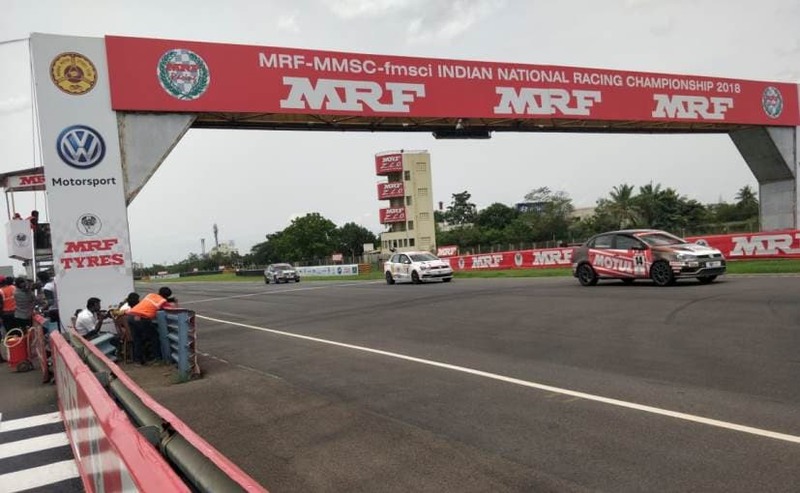 The Kolhapur-based driver started the race on pole position and maintained his lead throughout the eight lap race. Finishing second and third respectively were title contenders Saurav Bandyopadhyay and Jeet Jhabakh. This was Dhruv's fourth win of the season, and an important one after a DNF to his name in the previous round. While Dhruv held on to the lead right from the start, it was Saurav who had a better start and was hot on the pole-sitter's tail. However, Dhruv was quick to extend his lead by a healthy margin almost to a difference of 3.5 seconds by the second lap. Meanwhile Jeet Jhabakh who started the race in fourth place was catching up with Pratik Sonawane who started at P3. The Hyderabad-based driver was quick to move into P3 by the second lap and retained the position until the end of the race. In an otherwise clean race, Jeet turned out to get the maximum action, without any major incidents on track. Pratik too showed some impressive pace having dropped to eighth and recovered to fourth. Chittagong-based driver Affan Sadat Islam finished fifth in Race 1, ahead of Siddharth Mehdiratta and Shubhomoy Ball. Guest driver Ameya Dandekar took eighth place followed by Anmol Singh. After missing out on Round 2, Bangladesh-based Tauhid Anwar made a comeback to the championship and finished 10th in Race 1. With two more races to go, the top drivers will be starting the next race at the back of the grid as part of the reverse grid order. Dhruv has cemented his lead by a healthy margin for the championship, but if the last round was anything to go by, Saurav and Jeet could turn out to be game-changers too.